Susanne Bier's Serena was a pleasant surprise that served up a solid helping of emotionally-charged period Southern Gothic, but now the director returns to a contemporary setting for her latest feature, A Second Chance. Whilst this latest venture is just as emotionally-wrought, it suffers from too many narrative contrivances and slow pacing. Reuniting with screenwriter Anders Thomas Jensen, Bier directs a tale of a police detective who makes a critical mistake after attending a domestic disturbance and discovering a neglected child. 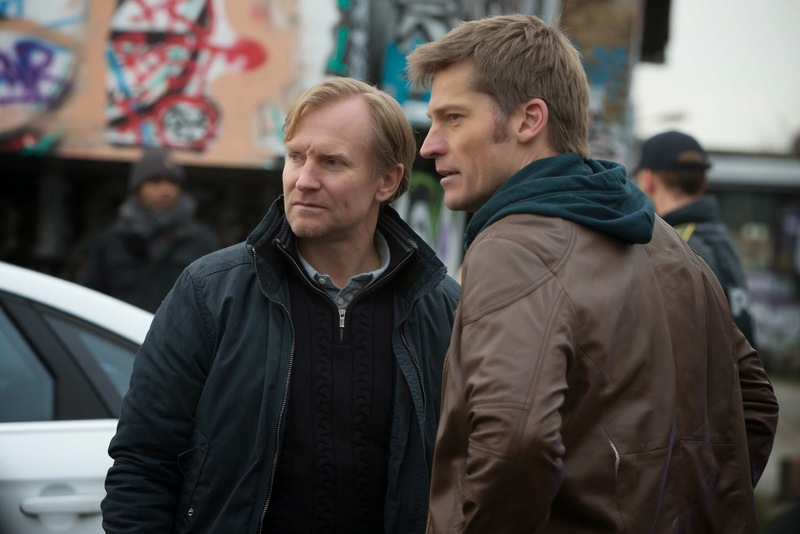 After a personal crisis the detective, Anders (Nikolaj Coster-Waldau), seeks to protect the child and solve his own problem in one swift move. With a truly powerful subject matter in hand, Jensen and Bier craft a tale that is undoubtedly affecting - it's hard not to be unnerved by the thought of infants in peril. Initial scenes featuring the drug-addicted criminals, Tristan (Nikolaj Lie Kaas) and Sanne (May Andersen), and their helpless screaming child covered in faeces are as harrowing to watch as they sound, raising questions about childcare and legality whilst setting up the bleak tone of A Second Chance. From the moment we witness the poorly cared for child paralleled with scenes of Ander's priveleged child, it's clear in which direction proceedings are headed. This is confirmed when a tragedy occurs and Anders switches the two babies - following this A Second Chance presents one contrivance after another. Whilst there is some well-executed intrigue in the police trail after the switch, proceedings grow increasingly outlandish and over-dramatic - ultimately feeling a little silly. Given this it's hard to fully engage with A Second Chance which becomes tiring and predictable. The conflicting moral question at the heart of the piece should make for an engaging premise, but it's all so dour and unbelievable that it's hard to care by the end. Performance-wise A Second Chance is sound. Coster-Waldau is the rock at the centre of Bier's film - capturing a man trapped in a blurred haze of grief, growing increasingly desperate to cover-up his questionable actions. There is excellent support from Ulrich Thomsen as Anders' increasingly-suspicious partner who is one step behind, but catching up rapidly. Impressive cinematography from Michael Snyman captures the haunting beauty of the film's Danish coastal setting. Whilst the performances and moral dilemma of A Second Chance are ambitious, this bleak tale fails to engage thanks to contrived plotting and a lethargic tone.